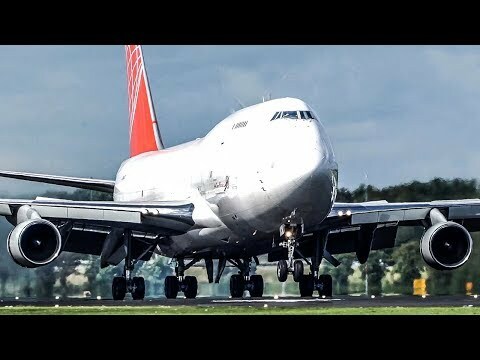 30 big plane landings at the most amazing airport in europe - Amsterdam schiphol. Usually the traffic is quite spectacular with multiple Boeing 747` s, a few Airbus A380´ s and other heavy planes. You have spotterplaces just for people who would like to watch planes and there are no fences around the airport. It` s basicly planespotters` s paradise especially if you would like to get as close to the action as possible. Currently Schiphol has a few issues with slots and that` s why some cargo airilines are forced to move operations to nearby airports like Maastricht, Brussels or Liege. The airport is slowly reaching its maximum capacity.